This year’s BrightEdge Share 17 event—which toured through several major cities and brought together the best and boldest minds in SEO—offered insights aplenty into where digital marketing is, and where it’s headed next. The EverythingOnline team was honored to be included in the San Francisco event, and while there we took copious notes. In this post, we present some of our key takeaways from the event—which we hope will be profitable to all the marketers who weren’t able to attend. Hyper-targeted local content is essential for improving local search results. 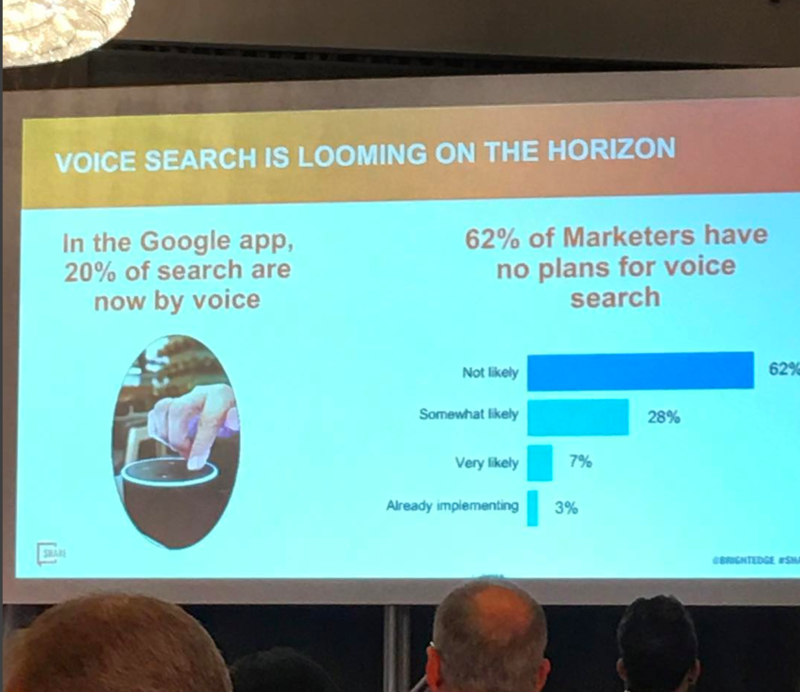 As mobile search continues to dominate, the importance of voice search grows more and more integral. An organic search continues to rank among the very largest channels of client acquisition. The line separating SEO and content marketing gets blurrier all the time. More and more, they’re just two different ways of saying the same thing. SEO has value across all channels and should be integrated into every stage of marketing. Data continues to be a must for SEO insights; conversely, data without insights is pretty useless. Search can be a powerful tool for understanding personas. SEO helps you understand your customer better. There’s no need to have a quote-unquote SEO professional anymore. It’s a meaningless title. SEO should be the backbone of all marketing efforts. 82 percent of B2B companies use search to find their vendor of choice—and it takes, on average, 12 searches before a final purchase is made. Content should be developed according to a content matrix. Website content shouldn’t be representative of who you are, but rather of who your customers are. The important thing about content isn’t its scope or its complexity—it’s the effectiveness. It’s important to get proof of content. Use paid channels to find keyword conversion rates before investing a lot of money into SEO content. It’s always smart to look for quick wins with SEO, but also to lay foundations for lasting relationships. The goal of SEO is performance—not merely rankings. State of E-Commerce, Analytics, Optimizing for Quick Answers Optimization in 2017. Use Micro-moments to define micro success. Note that micro-moments are really micro-conversions (i.e., the user does something that will eventually lead to sale). Hope is not a content strategy. A good strategy is based on real data. 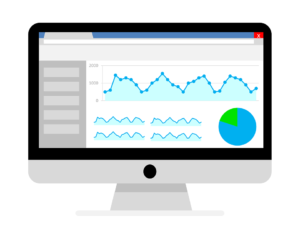 Google Analytics’ new interface allows for better understanding of data and it continues to improve. You can ask a question in Google Analytics and Google AI will answer you. For example, what was my organic traffic yesterday? With Quick Answers, some brands see their keyword hits increase by more than 300 percent! On a technical level, we learned that most SEO endeavors have benefited from both AMP and https. There are exceptions to every rule, but again, most of the time these things will be beneficial. For scaling SEO: Becoming an SEO evangelist is key. Creating Wikis is also impactful. The future of SEO hinges on the Internet of Things, on-demand video content, industry-specific content, study funnels, and relationship building. SEO is always changing, and we’re committed to learning and adapting alongside it—improving our ability to deliver results for our clients. To speak with us about any of this, or to learn more about our data-driven approach, reach out to EverythingOnline today.